birthdays | Are You Zhazha? I’m calling for a shake up with how we celebrate birthdays. Be gone, “Eh, it’s just another day,” attitudes that many acquire in our older years. (I’m guilty.) I think it’s then that we should go all out like we did when we were young. Not necessarily stay up all night slumber parties, New Kids on the Block cakes or jumpy place parties but just more pronounced attention then many allow. It seems, as our numbers grow, the size and importance we put on our born day shrinks. Life gets in the way of life. Shouldn’t we be rejoicing that our number is able to grow? That we are still here to celebrate the rotation of another year? Feel incredible to be given more precious days to enjoy and accomplish? Some people have battled cancer and won. Some have battled in war zones. Others have been through incomprehensible life journeys. And they are still here to experience another day while so many others are not. Why don’t we live for them? I know it’s hard because who really likes getting older? We cling to our youth. Our energy. Our young skin and bones. The ability to sit cross-cross-applesauce. I pluck and cover my grays and sample that magic-promising anti-aging cream. But shouldn’t I be cherishing that I’m here to laugh at my aging pieces? Or that we have 35, 39, 43, 47, 54 and more tucked away in the shadow boxes of our memories? Andrew remarked that he hasn’t had this many presents (for his 35th) since he was 12. 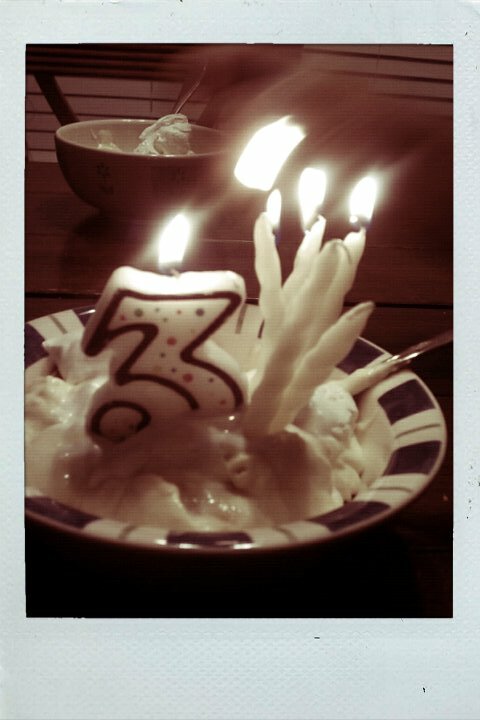 I hope it stays that way with each year because I know how very grateful I am to celebrate it with him. So very thankful we get to cycle through one more year of enjoying the smaller numbers and welcoming what’s next. Life.